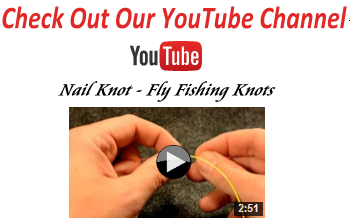 Last week in Drift Boat Fly Fishing Tips we talked about the mental aspects of the game. The second most important element to remember is that float fishing is a team sport. Wade anglers are used to the solitary nature of their trade. They can move at their own pace and only have to worry about themselves. 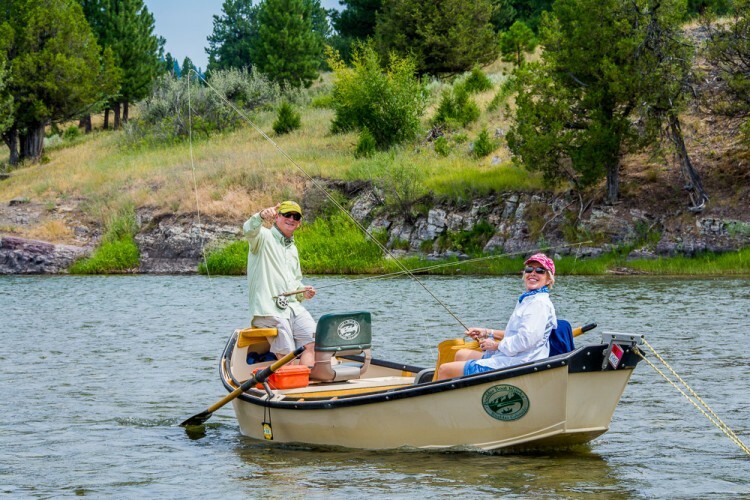 With drift boat fly fishing you have to keep in mind that there are two other people in close proximity, and one of them is also waving around a 9 foot stick. I cannot tell you the number of hours, yes hours! of lost fishing time over the course of a season that occurs simply because someone was not mindful that another angler was in the boat. Tangled lines, tangled flies, hooked anglers, and worse all happen and it adds up to lost time on the water. Often it is not a big deal because we either weren’t floating through great water, or I can simply row back upstream and cover the missed section of river. However, other times it’s a big deal. 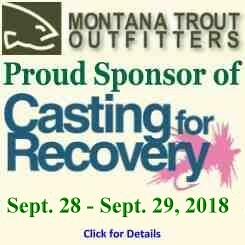 It may be fast water where I can’t hold the boat or quiet water with super spooky trout, but I know we only have one shot. And I also know if my anglers make that shot we are virtually guaranteed a trout. 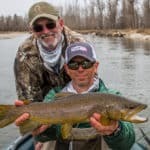 So how do you play well as a team when drift boat fly fishing? The first step is to understand your roles and territories in the boat. There will be an angler in the front of the boat and the back of the boat and a good dividing line is straight out from the oars. Any water in front of the oars is the territory of the front angler and any water behind the oars is the territory of the back angler. Don’t cast your flies into the other anglers’ territory and you will likely avoid tangled lines. Some guides divide this up differntly so if there is any confusion just ask the guide to clarify what they would like to see. 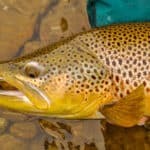 Now you know where you should be fishing, but it is much more important to know how you should be fishing. It only takes a few floats to realize that most days the front seat offers the best chances. It makes sense as that angler gets to present their flies to the trout first. While the front seat might be the hot seat, the back angler has the most critical role on the team. The back angler can see everything that is going on because it is in front of them, and because of that they have more responsibility. The front angler is essentially blind to what is going on behind because they are facing forward. Both anglers should focus on their fishing, but the back angler should also do their best not to cast while the front angler is casting. When hitting a new run the back angler should also wait for the lead angler to get in the water first. If the back angler does have to cast out of rhythm or unexpectedly it’s a good idea to let your partner know with something like, “I’m up!” or “casting”. In short, the back anglers’ job is to stay out of the way while still fishing hard. As you get better as a team, the back angler should try cover water with their flies that the front angler misses. You’d be surprised how often this pays off with a nice trout for the tail-gunner. The front angler has a very simple job, put the fly in the spot. 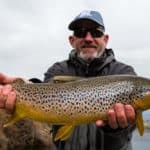 The burden of preventing down time is moslty on the rear angler so the front angler need only focus on making their best casts to the spots the guide is pointing out. The biggest mistake front anglers make is fixating on a spot for too long and casting back into the other anglers’ territory. Putting the fly in the right spot and keeping the fly ahead of the boat are the front anglers’ main responsibilities. 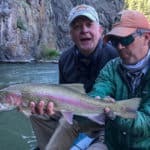 As you get more comfortable with drift boat fly fishing the front angler should also occasionally take a glance toward the back angler to make sure they are not casting at the same time. Embrace your role and you will know what to do and when to do it. 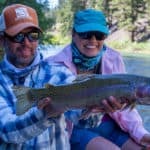 Float fishing is a team sport and if you remain mindful that it’s more than just you fishing out there you will spend more time fishing and less time untangling. When that happens you will find that your great days far outnumber your tough days on the water.